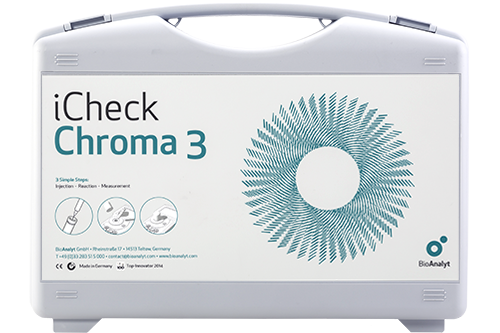 iCheck Chroma 3™ is a state-of-the-art portable photometer for measuring vitamin A concentration in edible oil. 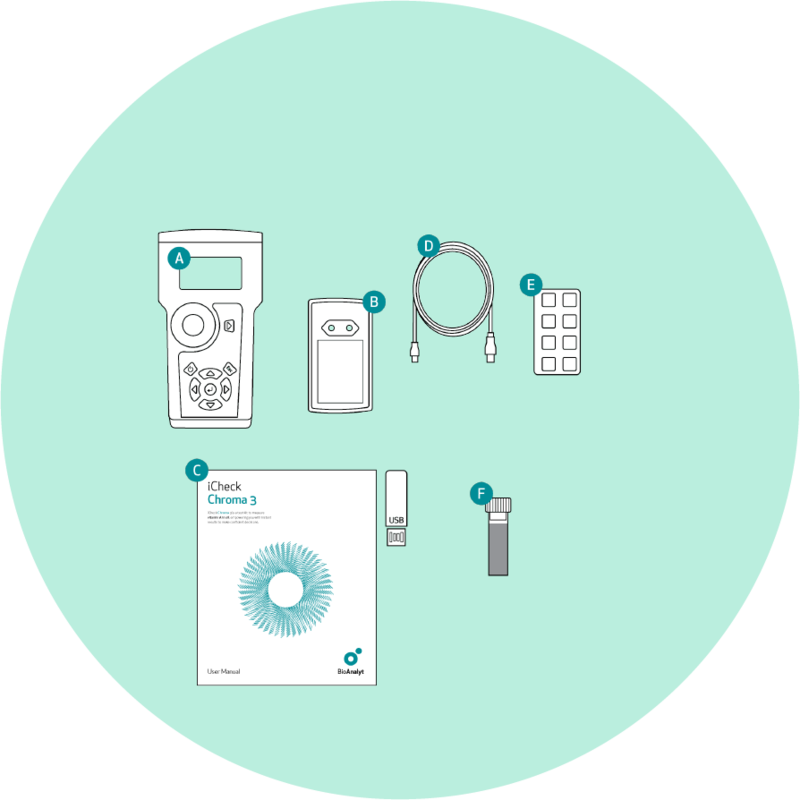 The iCheck is specifically developed and equipped with innovative technology to enable technically sophisticated measurement of absorption. 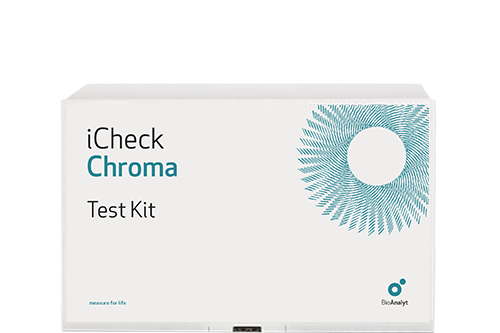 iCheck Chroma™ 3 displays vitamin A concentration in mg RE/kg and IU/g. 100 reagent vials; 100 syringes – 1.0 mL; 100 needles – 0.8mm x 16mm. 1. Renaud, C. Quantification of vitamin A in fortified rapeseed, groundnut and soya oils using a simple portable device: comparison to high performance liquid chromatography. International Journal for Vitamin and Nutrition Research, 2013. 2. Rohner, F. Quantification of vitamin A in palm oil using a fast and simple portable device: method validation and comparison to high-performance liquid chromatography International Journal for Vitamin and Nutrition Research, 2011.